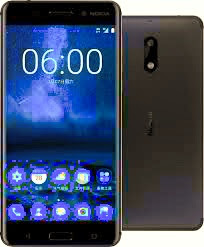 Months of anticipation has finally ended as HMD Global announced the first Nokia smartphone, called the Nokia 6. The smartphone also marks the re-entry of the brand in the industry. The Nokia 6 is exclusive to China and has been priced at 1699 CNY (approximately Rs 16,750). It will be available for purchase in early 2017 through JD.com. It also marks the brand’s first device to come powered with Google’s Android OS. The Nokia 6 boasts an aluminium uibody design and features a 5.5-inch in-cell full HD display with 2.5D Gorilla Glass on top. It is powered by Qualcomm Snapdragon 430 processor with X6 LTE modem and paired with 4GB of RAM and 64 GB on internal storage which can be further expanded via microSD card. The smartphone is powered by Android 7.0 Nougat. In the photography segment, the Nokia 6 features a 16-megapixel rear camera with f/2.0 aperture and PDAF along with an 8 megapixel front snapper with f/2.0 aperture for selfies or video calling. Keeping the smartphone ticking is a 3,000mAh battery. The sound output on the smartphone has been further powered by Dolby Atmos.